The President of the Senate Dr Bukola Saraki has responded to the taunt by the All Progressives Congress (APC) over his (Saraki’s) performance at the just concluded Presidential Primary of the Peoples Democratic Party (PDP). The APC spokesman, Yekini Nabena had in a statement issued on Tuesday, mocked Saraki’s performace saying that his “Presidential bid had crashed”. 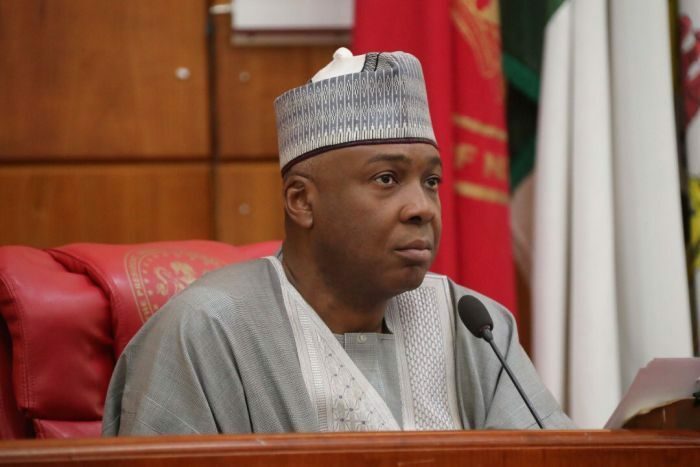 However in a statement Issues by Yusuf Olaniyonu, Special Adviser on Media and Public Affairs to the President of the Senate, Saraki said that the APC is always disturbed by the sound of his name. Saraki however advised the APC and its leadership to stop focusing on developments in the opposition party and seek ways to solve the “civil war” that had been ignited in the party. “We have noted the irresponsible statement issued by the APC spokesman, Yekinni Nabena. “We know that he and the leadership of the APC are always incensed and disturbed at the mere hearing of the name, Saraki. It is also notable that Nabena and the APC are always concerned about the developments in the opposition party, the PDP. “However, we believe that with the ‘civil war’ that Adams Oshiomhole and Yekinni Nabena have ignited in the APC and the very low level that they have dragged the party, in such manner that the ruling party is wallowing in confusion and disorganization, they have too much to pre-occupy them than to be poking their noses in what happens to Saraki or the PDP,” he said.